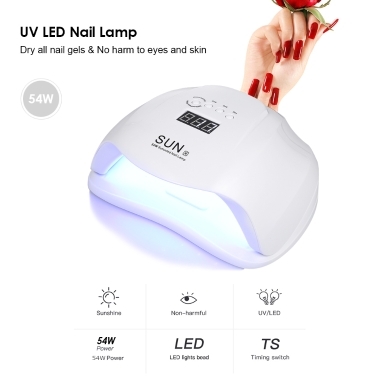 Our nail lamp can dry all nail gels and has no harm to eyes and skin, and can used on both fingernails and toenails. Why not try it now? 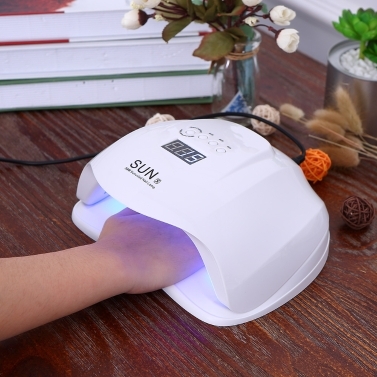 Can dry all nail gels: New technology of double light source (365+405nm)LEDs, suitable for drying all nail gels. No need to worry about distinguishing your nail gel. 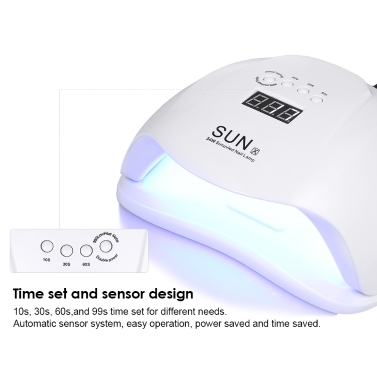 Time set and sensor design: 10s, 30s, 60s,and 99s time set for different needs. 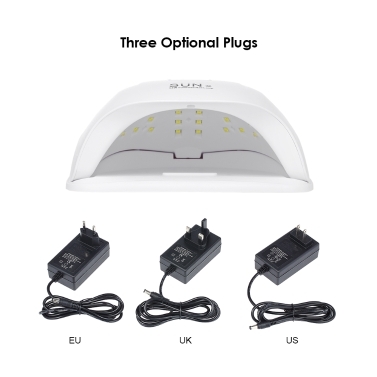 Automatic sensor system, easy operation, power saved and time saved. 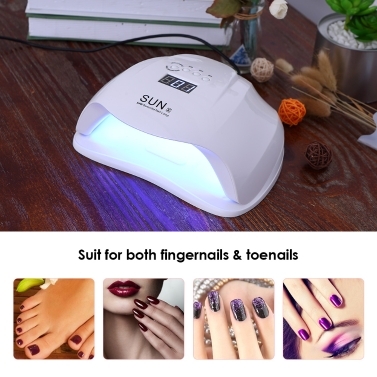 Detachable panel: Detachable magnetic reflective panel, more convenient for toenail gel curing. 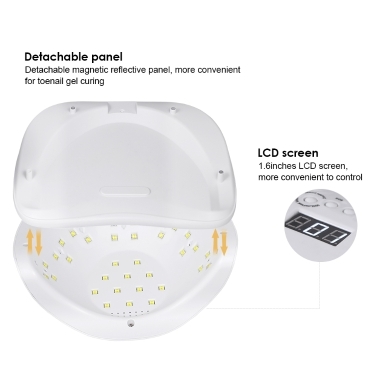 Round LED light design: 36Pcs LED lights distribute evenly, curing use no dead angle. 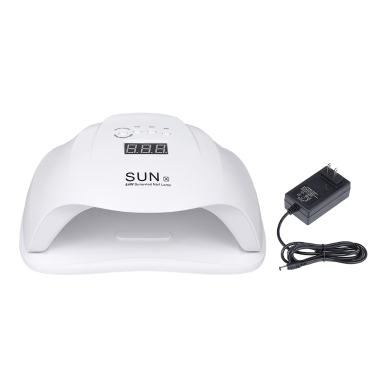 LCD screen: 1.6inches LCD screen, more convenient to control.